On the evening of the 11th of February 2019, the republican President Donald Trump is scheduled to conduct one of his campaign style rallies to tout his claims as to how his demands for funding his SW border wall, is crucial for keeping out the criminal element embedded within the refugee migrant families from Central American countries who have been legally seeking US asylum. President Trump has frequently made the claim about how the city of El Paso in Texas has become one of the US safest cities after its southern wall was built. The problem with this presidential assertion is that both the current GOP and the former Democratic Party mayors strongly dispute it. 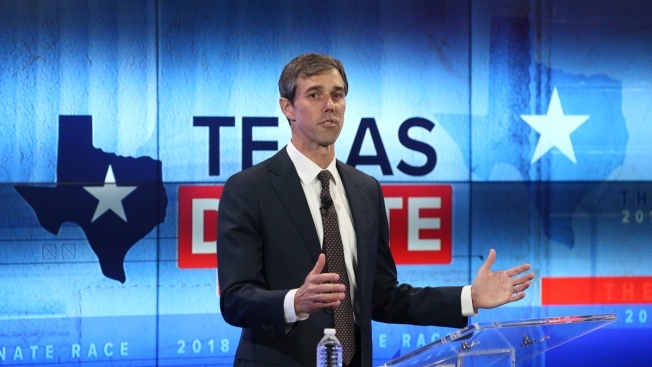 Meanwhile, within a mile, a hometown, possible Democratic Party 2020 US presidential contender, former US Rep. Beto O’Rourke will be hosting his own rally, to counter President Trump’s claims about the need for his wall at the US SW border. The former US Rep. Beto O’Rourke has become a Democratic Party rock star as he came close to upsetting the 2018 reelection of the GOP US Senator Ted Cruz in the State of Texas where President Trump won in huggge numbers. Can you imagine this evening’s (2/11/19) split TV screens showing both President Trump’s and El paso’s own, Rep. Beto O’Rourke rallies! This should prove to be quite the showdown. “Mr. Trump is scheduled to begin speaking at a Make America Great Again rally at the El Paso County Coliseum at 7 p.m. Mountain time (9:00 Eastern Time). Mr. O’Rourke and his supporters will meet up at Bowie High School at 5 p.m., then march to Chalio Acosta Sports Center, about a 1/2 away. He will also begin speaking at 7 p.m.
“Now he will face a different test in an opponent whose first instinct is to fight. Beto may want to brag on Texas huge investment in wind energy, as the nation’s leader. He may want tout how immigration is accretive to the US economy. Fortunately, Beto O’Rourke is not known for being confrontational. As you said there are so many serious issues that he can raise without ever referring to the President just down the road. But this will be a clear opportunity for the country to see how Mr. O”Rourke’s style compares with President Trump in substance and in delivery. I find it hard to believe that he won’t be bragging on Texas. I’m wondering if Senator Cruz will join up with president Trump. By going to Beto’s territory, Trump is basically daring Beto to tangle with him. Which I find very odd. Beto has been very quiet these last few months, and the extent to which he can still draw the big crowds will be watched carefully. Tonight will be an interesting night. Whoever works on these events for President Trump will be working overtime to make sure that he has a huge audience and that they prepare photos that show the crowds. He isn’t popular in El Paso, so most of the crowd will come from outside the area. But if the split screens show Beto O’Rourke’s crowds as being larger in number, there will be hell to pay. Like you said, this will make for an interesting evening.